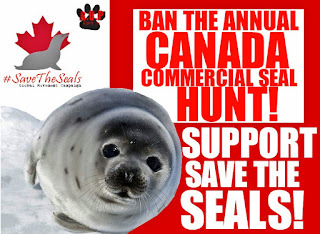 As we rapidly approach another annual commercial seal hunt within the country of Canada, we at Raise Ur Paw, a Canadian Federally Incorporated Not-For-Profit, along with other countless compassionate individuals, are encouraging and counting upon the immediate support and backing from individuals, organizations, celebs, and political figures of power and influence to join united this March 2018, in calling upon the Canadian Goverment and Prime Minister Justin Trudeau, to end Canada's Annual Commercial Seal Hunt and to seek out alternatives and solutions in order to save/protect these sentient beings. During the timeframe of March 20th to the 27th, we encourage the voices and actions of global support as we combat the issues and the commercial seal cull by uniting as one powerful and strong force to #SaveTheSeals --- and that with this unity we will march internationally in raising public awareness and gaining attention from the Government to make this historic step --- an imperative step that finally needs to be taken. 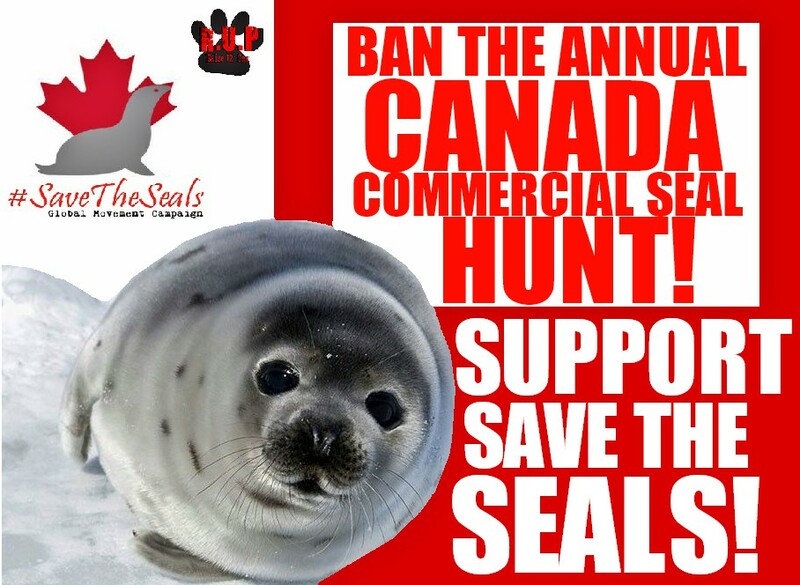 2 DAYS REMAIN --- To CHECK OUT our #SaveTheSeals Global Movement T-Shirt Fundraiser Campaign - ORDER/DONATE in showing your support in urging the Canadian Government to Ban Annual Commercial Seal Hunt --- CLICK ON LINK HERE -- https://www.customink.com/fundraising/savetheseals-movement-campaign - Over 59 Shirts Sold So Far - Choose from White or Grey! 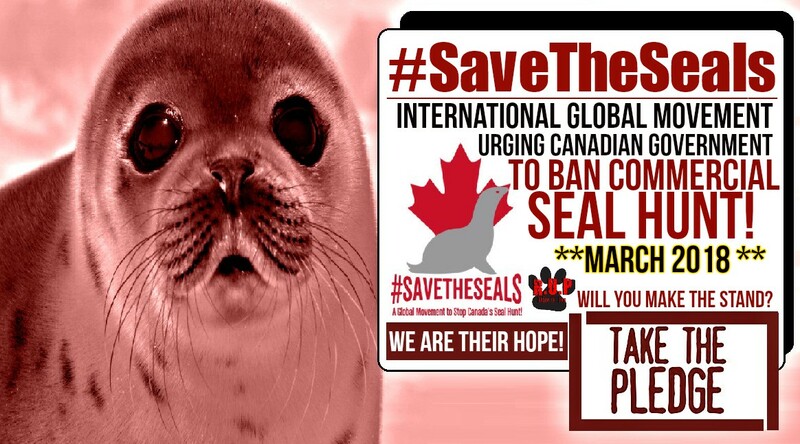 As we organize and plan for the MARCH FOR SEALS, which is planned within the city of Ottawa, Ontario --- we are hoping to count on the support of others in organizing their own march demonstration within their countries, communities etc to fully extend the reach of our urgent calling to #SaveTheSeals. 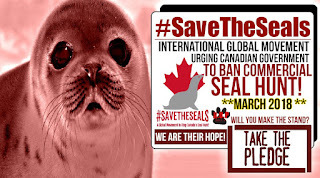 IF YOU WISH TO BACK AND SUPPORT the #SAVETHESEALS GLOBAL MOVEMENT & JOIN IN THE UNITY OF VOICES, PLEASE EMAIL US AT raiseurpaw@hotmail.com and let us know where around the globe you will be holding your demonstration to #SaveTheSeals, so we can inform others of a demonstration near them :) FOR ORGANIZATIONS - Add your logo and website along with email so that others can see who is standing along with us in support of MARCH FOR SEALS! Your support and voices are greatly appreciated.